Healthy & Fun for our kids! 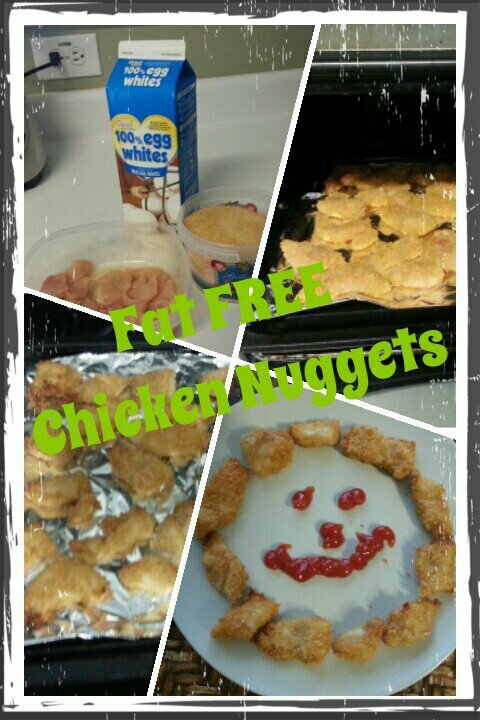 Fat FREE Fun Nuggets for our kids!! Condiment Chicken with Onion & Herb Mrs. Dash. Dip it in Egg Whites then in Bread Crumbs. Place Nuggets in oven (350 Degree) for 15-20 mins. Ready to eat… mmmm Delicious!!! Keep kids moving and enjoying the benefits of being physically active for a healthier lifestyle. @ Zumba for Kids with Vicky!! !